Mamabelly's Lunches With Love: Happy National PB Day! Today is National Peanut Butter Day and for us a snow delay day, woohoo! My fifth grader packed a peanuts, pretzel, sesame stick and chocolate snack mix, half an apple and a peanut butter and jelly sandwich decorated with pieces of the snack mix and a winter hat cupcake topper in his Easylunchbox lunch box. I even found the perfect Lunchbox Love Note for today! I am nuts about you!! 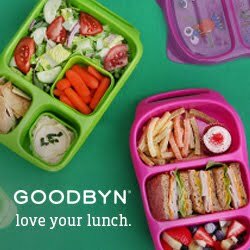 My second grader also packed a peanut butter and jelly sandwich in his yubo lunch box , a peanut butter cereal bar, vanilla yogurt, some mini dark chocolate chips and Naturebox Orange Crush granola to sprinkle on the yogurt, yum! Of course, he has a Lunchbox Love Note as well! My youngest son packed a Lunch Punch peanut butter sandwich, apples and strawberries and the same snack mix as his brother. Because it is a snow delay day all boys got to bring an organic chocolate milk to school as well. "I am nuts about you!" 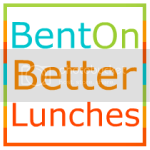 - yes that is the perfect Lunch Note for your theme today! Super cute lunches.. love the 'Nuts about you'!